The stone crusher is mainly used as a coarse crusher and a medium crusher in mining, building materials and infrastructure. According to the feeding size, it is divided into three types: large, medium and small. The feed opening is larger than 600mm for large machines. The feed opening is 300-600mm for medium-sized machines. The feed opening is less than 300mm for small-sized machines. 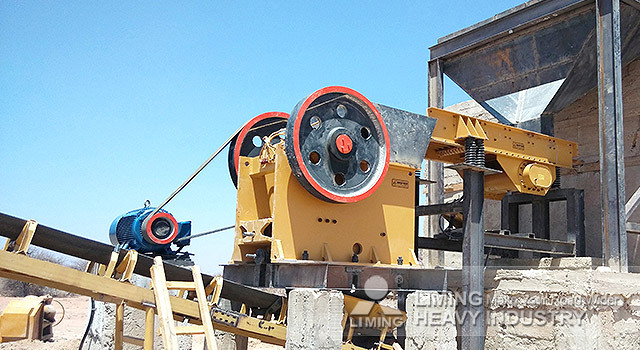 The jaw crusher has many advantages, such as simple structure, easy operation, reliable performance, and convenient to use and maintain. So how much is a set of PE600x900? Let us introduce the PE600x900 jaw crusher. 7. We can be equipped with dust removal equipment, in line with national environmental protection standards. 8. Higher stability and longer service life. Due to the different specifications and models, the production cost and the production capacity are also different. Therefore, the price will be different. If you are interested in the PE600x900 jaw crusher, you can click on the online customer service for a detailed consultation.